In order to lift heavy, you are going to need to use tools to help you. 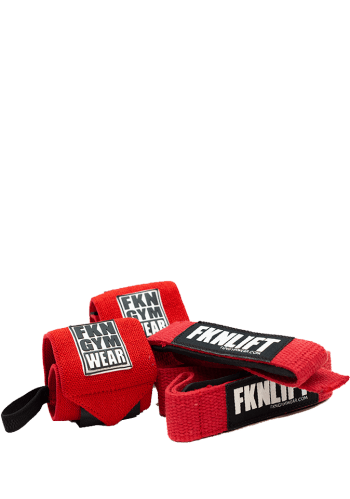 The FKN Lifting Straps Pack with straps and wraps in Red is the perfect weightlifting accessory for those who want to lift heavy but don’t want the blisters that go with it. You can grab this full lifting pack today at a great price and we’ll ship it straight to your home address. 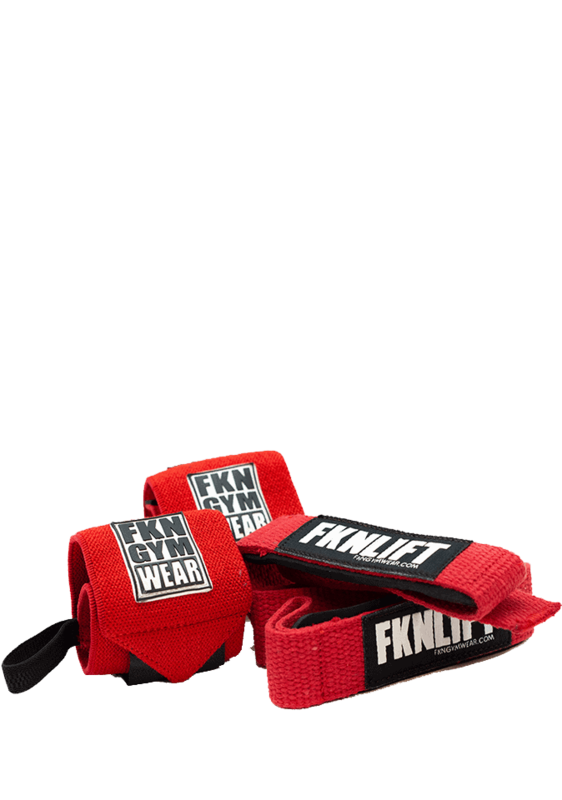 In order to care for your lifting straps and wrap pack, you can simply spot clean them. Easy. You could even throw them in the wash if you wanted to. No matter if you are wanting to increase your lifts across deadlifts, dumbbell or barbell row, rack pulls or the shoulder shrug.